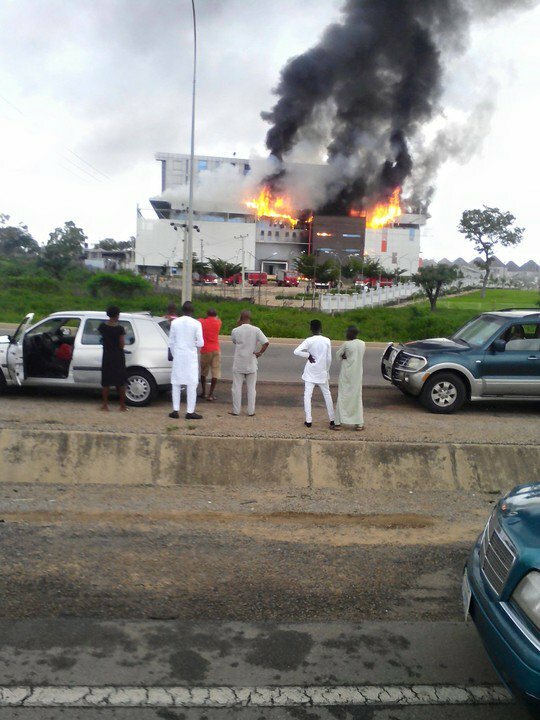 House on the Rock church in Kukwaba, Abuja was engulfed by fire on Sunday afternoon. Photos and videos surfaced Sunday afternoon on social media with users asking for numbers to reach the fire service. Head of Police Complaint Rapid Response Unit (PCRRU), ACP Abayomi Shogunle later said 7 fire trucks were on the scene putting out the fire. The fire was succesfully put out.